Last weekend two cuckoos loaded up into the Birdmobile and went on a quest to the Lake Apopka Wildlife Drive. 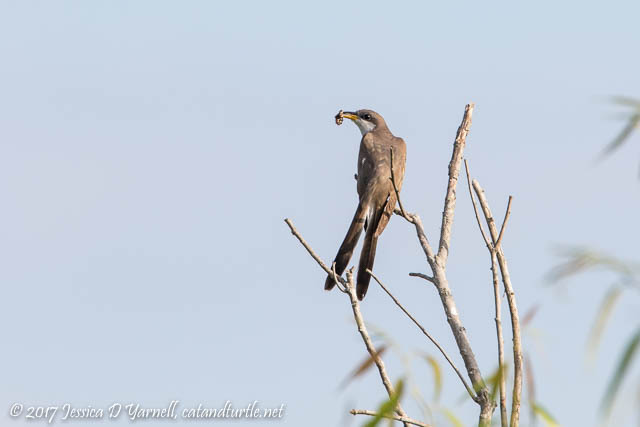 My target was the Yellow-billed Cuckoo. My dad’s target was the Pied-bied Grebe babies and another visit with Forky. We both found our birds – and our lifer Mississippi Kite, too! 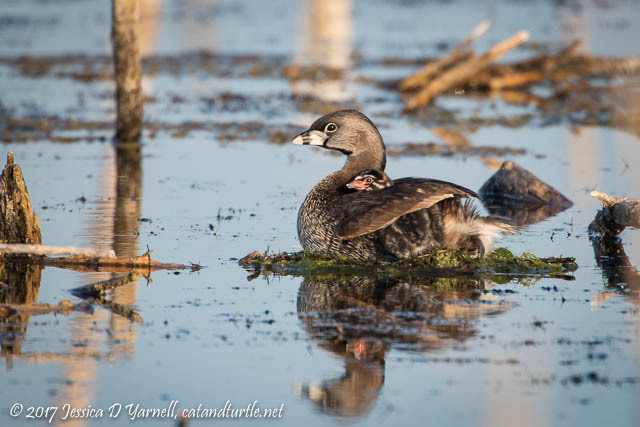 After photographing the Pied-billed Grebe family at their nest on the day before, I was hoping to find them in the same spot. Unfortunately for my dad, they had moved out further into the water. But at least we got to see them. Such cute little orange spots on those baby faces! 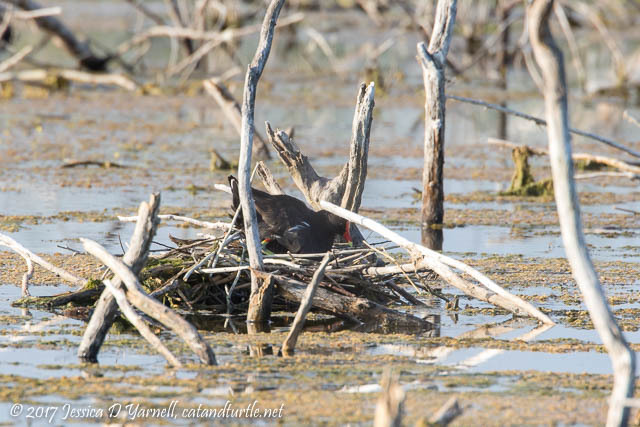 Not far from the grebes we spotted a Common Gallinule nest. It’s the first I’ve seen built up like this on open water. Nest-watching is such fun. I lost count of the Least Bitterns we saw that morning. 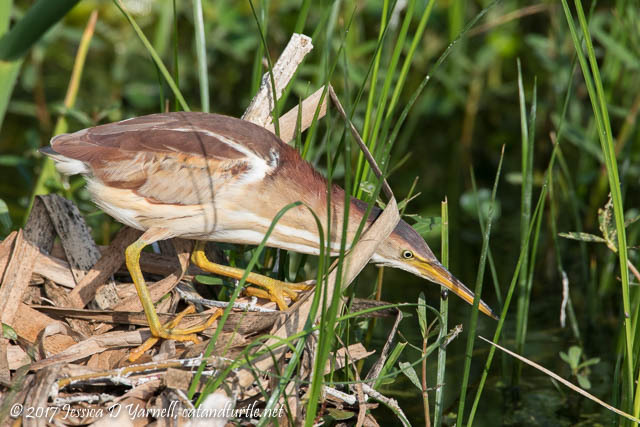 This ended up being my favorite Least Bittern shot because it shows the bird hard at work doing what he does best – surviving! He’s stealthily stalking his food, moving nothing but his tail as he watches and waits…and them pounces! with a stretch of that long neck. The pond at the east end of Interceptor Road, which has so recently hosted rare birds such as the White-faced Ibis, American White Pelicans, and Red-breasted Merganser, was virtually empty. I saw a few cormorants on it, and that was about it. But one of the cormorants decided to take flight, and I caught the take-off action, which I edited together in Photoshop. It takes a lot of work for that bird to get out of the water! The Barn Swallows were in their usual places along Interceptor Road. It’s such fun to get to photograph them sitting still. 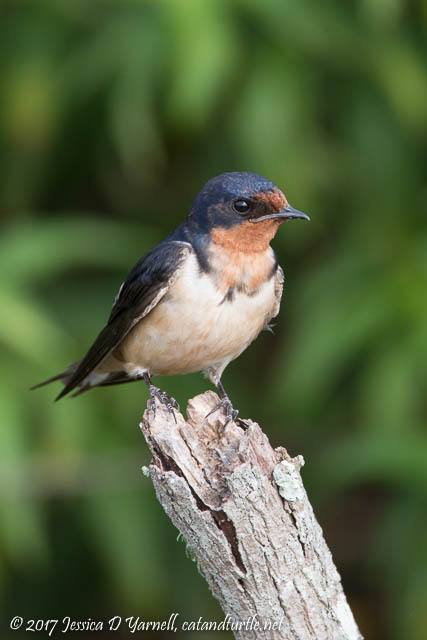 When they are not taking care of juveniles, the swallows spend most of their time on the wing. 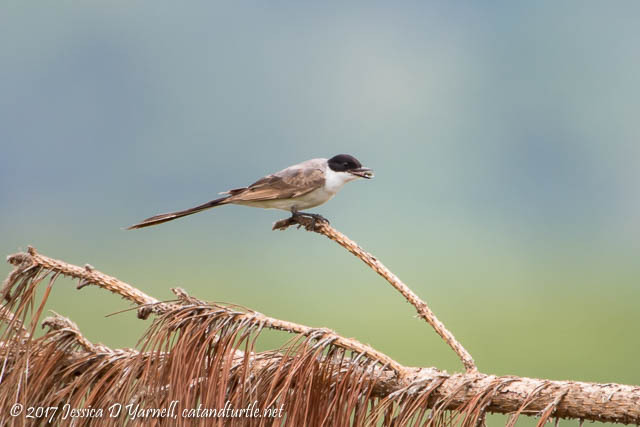 We got out to the sod fields and began looking for the rare Fork-tailed Flycatcher that was still hanging around. 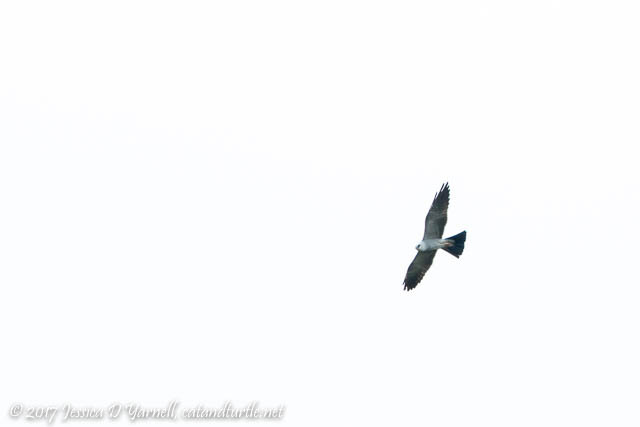 Then a few Swallow-tailed Kites flew overhead. My dad spotted the one that didn’t look like the others – our lifer Mississippi Kite! He flew pretty high but I got a few quick identification shots. I can’t wait to get a better look at him. That’s the best thing about the LAWD – it always leaves you wanting to go back! You’ll get the Mississippi Kite soon. Look up! High!